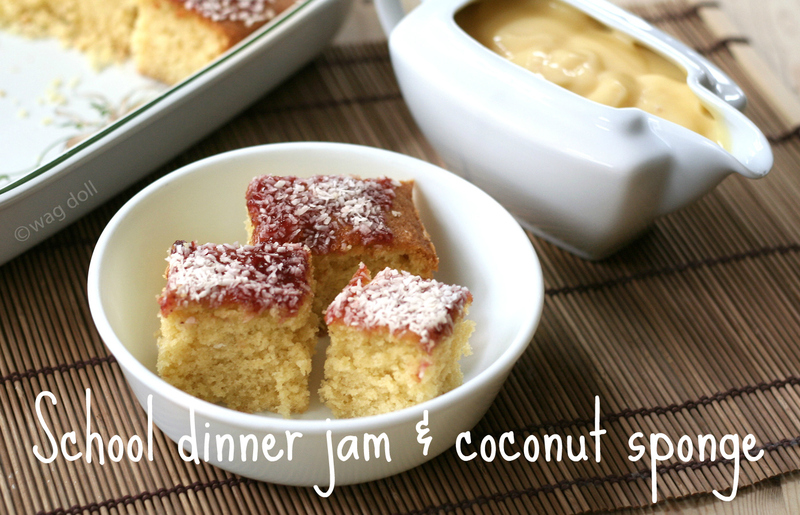 As the weather gets colder and the dark nights draw in, I feel the need for comfort food. Traditional recipes that hark back to childhood, and this is one of my 'old skool' favourites... "jam and coconut tray bake cake". 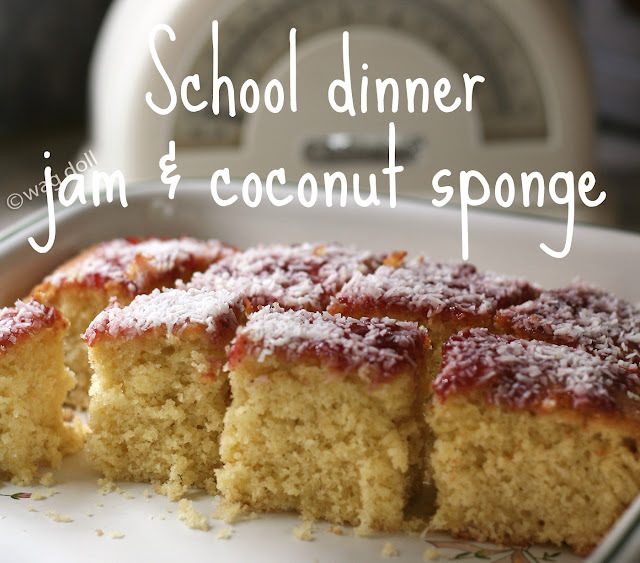 One of the highlights of school life, light and fluffy coconut cake topped with jam and coconut sprinkles and served with lashings of hot custard. If the dinner ladies were feeling adventurous, then we had pink custard...errr I think I'll give that a miss and stick to the golden variety! Puddings were always the best part of school meals! 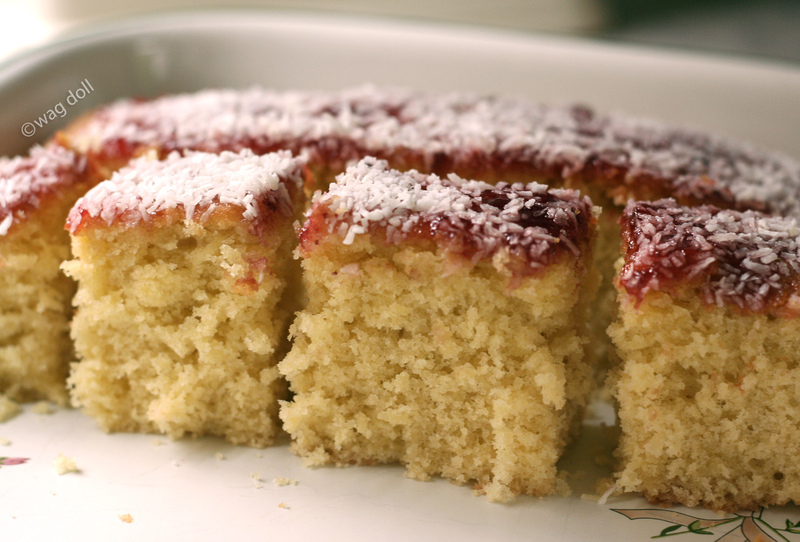 This is quick and easy recipe based on a basic Victoria sponge. Give it a go and be top of the class! 2 tablespoons of desiccated coconut. Gradually add the beaten eggs and mix well. Add the coconut and gently fold in the flour. Grease and line a baking tin. 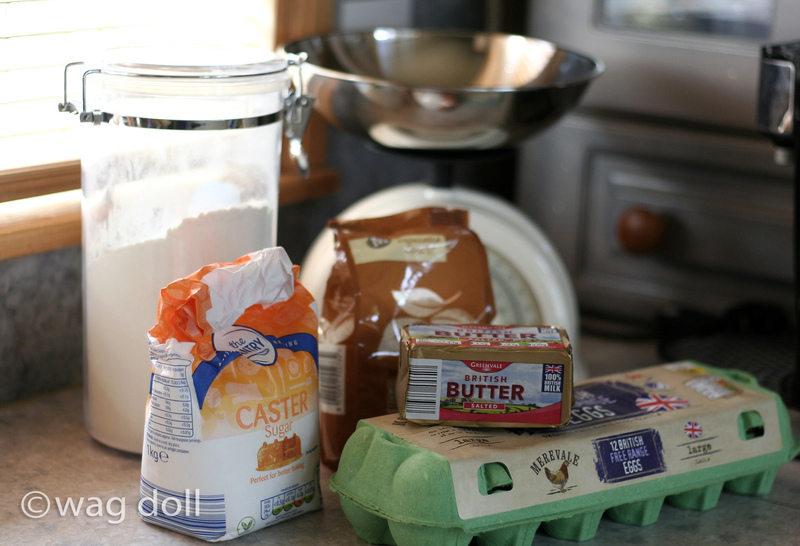 Add the mixture and bake in a moderate oven for 45 mins or until the cake is firm to the touch and golden. When the cake has cooled slightly spread the top with jam and sprinkle with the remaining coconut. Serve with lashings of hot custard.